When I was growing up, we used to spend the Fourth of July picnicking near a lake with another family, and after dark the fathers would put on a fireworks show. I remember it as a dizzying display of colors and patterns high above the lake — rockets, pinwheels and Roman candles soaring upwards, each tracing a different arc through the sky until they all exploded together in one shower of lights. That’s sort of what it was like knowing David Twersky, the veteran journalist, kibbutznik, back-channel diplomat and Labor Zionist activist who died of cancer July 16, at age 60. He was a hard-headed political operative and fiery orator and at the same time a doubt-plagued seeker, a prankster, Torah scholar, curmudgeonly skeptic, published poet, soldier, fanatic Yankees fan and doting family man. People who knew any side of him were perpetually shocked by the other sides. Much of the time he couldn’t keep track of them himself. We first met when we were 15, in the summer of 1965, at the inter-camp jamboree of Habonim, the Labor Zionist youth movement. Our age group was gathered in a big circle on a grassy field, listening to our counselors discuss socialism. I got up to teach a song I learned from my father, a parody of the British Labour Party anthem (“The people’s flag is turning pink/It’s not as red as people think…”). Across the circle, a skinny kid with a shock of curly red hair stood up at the same moment to teach the same song. Everyone else laughed. We looked at each other and grinned, became instant best friends and remained so for 45 years. 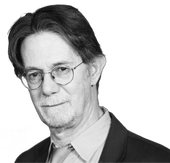 David grew up in the Sholem Aleichem Houses in the Bronx, the son of a militant leftist garment worker who was in turn the rebellious scion of a Hasidic rabbinic dynasty. His mother Anna died of cancer when he was 8, and while his father remarried, the loss never healed. Despite their leftist views, his parents enrolled him in Jewish day schools. In his teens David joined Habonim, eventually rising into the national leadership. At winter-break seminar in 1965 our Habonim group vowed to be old-style chalutzim and start our own kibbutz within 10 years. It took us nine. After high school he and I went on the movement’s kibbutz year program. It was September 1967. We were in the first wave of American ‘60s children to land in post-1967 Israel, and neither the kibbutz nor the country knew what to do with us. The next year, David entered City College in New York, while I went to McGill University in Montreal. Around us, the Vietnam War was at its peak, Israel had just unified Jerusalem, campuses were erupting with antiwar and pro-Third World protest, and the Jewish community was bursting with pride at Israel’s victory in the Six Day War and anger at its sudden isolation. Student Zionists from the left were caught in the middle, assailed on campus for defending Israel, attacked in the Jewish community for defending Palestinian rights. Out of necessity, the Zionist New Left became its own movement, one in which David would play a leading role. In 1969 the World Union of Jewish Students sent organizers from London to set up an American wing. They convened a wild, Woodstock-type gathering of the New Left, Lubavitch Youth, the early Havurot, the Jewish Defense League and everyone in between. When the second conference convened in 1970, David was elected chairman, more or less by acclamation. He was on fire, traveling the country, making speeches, debating anti-Zionists and having affairs. David also traveled to the Soviet Union several times on clandestine missions for the Israeli prime minister’s office to meet with Jewish activists. In Kiev, in one of his proudest moments, he found time to urinate on the statue of the murderous Cossack leader Chmielnicki. His experiences in the Soviet Union made him a passionate anti-communist, which often put him at odds with his friends and allies on the left. Meanwhile, our Habonim group was planning our imagined kibbutz. The kibbutz movement leadership didn’t take us seriously, assuming American hippies couldn’t run a farm. They pressured us to join a young kibbutz in the occupied territories. We refused, and in 1974 we got permission to take over the abandoned Kibbutz Gezer, near the Tel Aviv-Jerusalem highway. From the kibbutz, David was recruited almost immediately to work at Labor Party headquarters in Tel Aviv, where he was considered a protégé of Abba Eban. He served in the party’s international relations bureau, working with the Socialist International in London, and edited an English-language political magazine, Spectrum. He also launched a kibbutz movement literary journal, Shdemot. In 1982 his artillery unit saw combat outside Beirut. Coming home, he was assigned to the Knesset as a legislative aide and became part of a Young Turks group that included Yossi Beilin and Avraham Burg. In 1986, concerned about his father’s age and health, he returned to America. By now he was married to Israeli television journalist Ginny Medved and father of a young son, Michael. When the Forward Association launched its English-language weekly in 1990, he signed on as deputy editor and Washington bureau chief. He brought me on as New York correspondent. David’s years at the Forward were among the most fruitful and controversial of his life. Plunging in headfirst, he broke several sensational scoops that embarrassed the new Clinton administration and infuriated many of his old friends. Most famously, he unearthed information that sabotaged the job prospects of Johnnetta Cole, a Clinton transition team appointee who was considered a leading candidate for secretary of education, and Lani Guinier, a law professor who was nominated to be assistant attorney general for civil rights. In the mid-1990s, the Twerskys moved again, this time to New Jersey. The children were growing, David’s father was aging and David wanted to cement a living bond. Accepting an apparent demotion, he took the reins at the MetroWest Jewish News, the local Jewish federation organ. Over the next five years he took over four smaller federation weeklies and made the renamed New Jersey Jewish News into a heavyweight player in state politics, alternately wooed, consulted and feared by successive senators and governors. Finally, during the second Bush administration, David returned to global politics as international affairs director of the American Jewish Congress. Among other things, he developed critical back-channel contacts with the governments of Pakistan, Venezuela and Russia. The Jewish world got a little safer, and my son got Pervez Musharraf’s autograph. David retired in 2008 when his cancer began to limit his mobility. Last March, four months before his death, a group of old friends arranged for David to visit Israel one last time. He was already weak, and I went along as his driver and porter. We drove down to our old year-program kibbutz in the Negev, out to Gezer, up to Jerusalem. He showed his old haunts to his daughter Anna, who was studying at Tel Aviv University. At each stop another group gathered to reminisce and catch up. In Jerusalem, a crowd of 100 or more came from around the country for an evening of toasting and recounting how David taught and inspired and infuriated and made us laugh. I’m told he looked exhausted, perhaps nearing the end. I must have missed that; I was somewhere else in my mind, arguing politics, weeding cotton, singing on a grassy field somewhere. I guess I thought we had forever. As usual, he knew better. This story "J.J. Goldberg: The Many Lives of David Twersky" was written by J.J. Goldberg.